Beau Monde is America’s ONLY Accredited Competency Cosmetology School offering Federal Financial Aid to those who qualify! Beau Monde Academy of Cosmetology is a locally and independently-owned competency-based school. Our focus is preparing future stylist for a successful career in the beauty industry. We are the only accredited competency Cosmetology College in the United States offering Financial Aid to those who qualify. Competency simply means that progression through each program is based on the measurement of skill and mastery rather than time (clock hours). Competency allows students to move through their program of study as quickly as they are able to demonstrate mastery in the skill at hand. Our competency programs allow students the opportunity to complete their course of study in up to half the amount of time as a traditional clock hour program. See the chart below for competency/clock hour comparison. Our competency training allows the student to be in control of their progress. With Pivot Point LAB and our Steps To Success students are able to navigate their way to licensure. Fast track learning allows students to graduate and start a career in the beauty industry quickly. We know going to school has hidden costs in transportation (gas, parking etc. ), childcare, and lack of income. 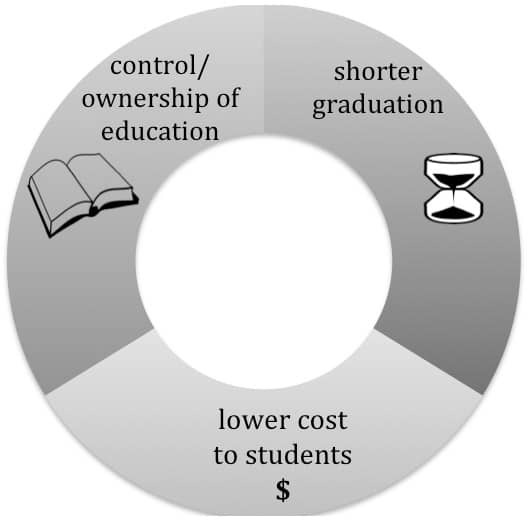 The flexibility to graduate sooner means less of these costs. Most traditional learning models hold time constant (clock hours) and let learning vary. In contrast, CBE holds learning constant and lets time vary. Learn more about how Competency-Based Education works at Beau Monde Academy of Cosmetology. Is Competency-Based Training Right For You?